It can be argued that the 5K is one of the best distances for a race. For new runners, it poses an excellent — yet accessible — challenge, and for experienced runners it can serve as a tune-up for a longer distance race or a test of your speed. 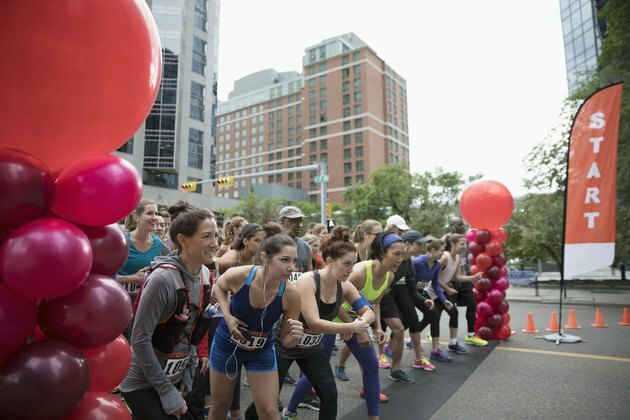 There are 5Ks across the United States that offer unique race-day experiences for runners of all levels, making every moment of your 3.1-mile run a celebration. From fun runs, obstacle courses and charity races, here are some of those races so that no matter where you are in your training, you can get out and experience all the distance has to offer. Runners, if you’re a Disney fan, now you can combine your family vacation to Walt Disney World with four different runDisney 5Ks throughout the year! Though races were once held on both coasts — events at Disneyland have were halted in 2018 due in part to the construction of a “Star Wars”-themed attraction — you can still take part in race weekends in Orlando. Whether you choose the Disney Fall Feast 5K, Walt Disney World 5K, Disney Princess 5K or Star Wars Rival Run 5K, you’ll get to see the park in a way many guests don’t. You can treat it like a fun run and dress up and be silly with friends or set a new PR (or both!) — the runDisney races are great for runners of all levels. And because you’re running 3.1 miles and not one of the longer distances, your legs will still be fresh enough to carry you from ride to ride the rest of the day. 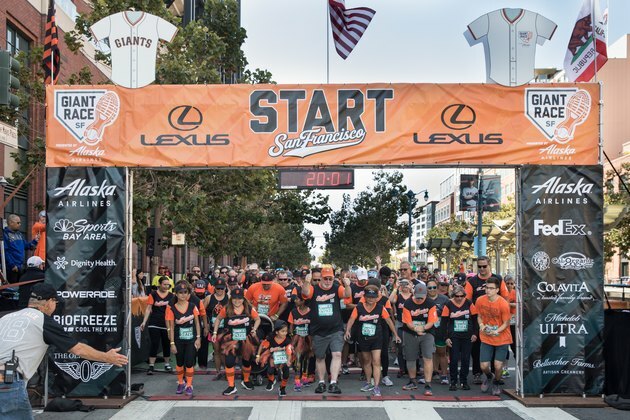 The San Francisco Giants have put together the ultimate fan experience in the form of four races that take place in Scottsdale, Arizona, and Sacramento, San Jose and San Francisco, California. Each race weekend has a 5K included in the lineup and allows Giants fans to run in various baseball stadiums — both during spring training and regular season — and set foot on the field. Stay after the race and celebrate your 5K finish by refueling in the stands with a hot dog and (hopefully) a Giants win. You can win this 5K in Pensacola, Florida, without even crossing the finish line first! The McGuire’s St. Patrick’s Day Prediction 5K has been going on for more than 40 years, and during registration, runners predict how long they will take to finish the race. The runners who come closest to predicting their actual time on race day win! The catch? You can’t use a watch or other timing device on race day. This is a great way for runners to practice learning how to run by feel (and a great way to get in some exercise before indulging in St. Patrick’s Day festivities). Every day soldiers across the world risk their lives to protect their country and its freedoms. Many of them end their service with wounds — both physical and mental — and need support. 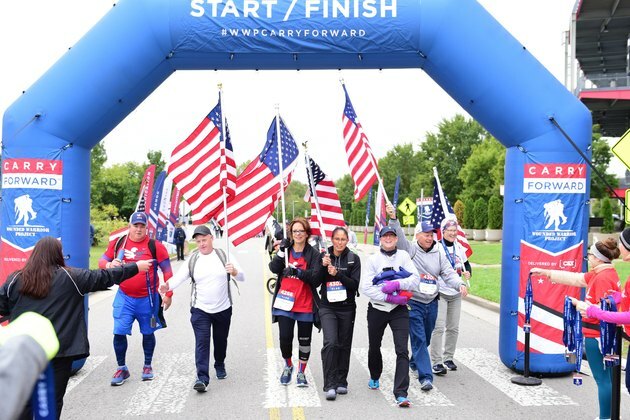 Thanks to the Wounded Warrior Project, runners have a unique way to honor veterans: the Carry Forward 5K fitness challenge. Participants can either choose to run carrying a flag, holding weights of one to 100 pounds or, as a squad, trade off carrying a team member. This event — with races in San Diego and Nashville and Jacksonville, Tennessee (along with a virtual option) — raises funds for the Wounded Warrior Project and gives you the chance to help impact the lives of veterans and their families across the country. Craft beer has become so popular with runners that there are even some brewed specifically with runners in mind. The Craft Brew Races were created to celebrate the local craft brew scene in various cities — currently Portland, Maine; Worcester, Massachusetts; Stowe, Vermont and Newport, RI, all have events — with a three-hour post-race party. 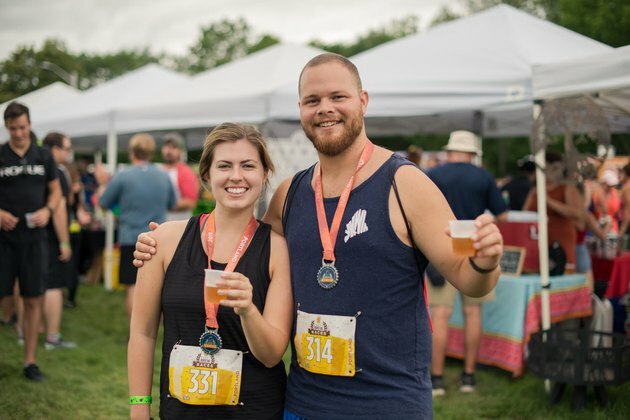 Runners of all experience levels can tackle a 5K and then recover with a beer (or two) while connecting with the brewing community and supporting local businesses. If you’re looking for a sweet fun run, the Hot Chocolate 15K/5K — also known as America’s Sweetest Race — is for you. This race series celebrating the decadent drink has nearly 20 events all over the United States, however, the Chicago race (held in November) has become one of the largest 5K races in the country, with close to 25,000 runners. Runners can take on the 3.1-mile course and end their race at the finish line with a mug full of hot chocolate or chocolate fondue, making it fun (and delicious) for the whole family! If you aren’t quite ready for the Boston Marathon or are a spectator who wants to join in on the spirit of the weekend, the Boston Athletics Association (B.A.A.) 5K is the perfect way to be a part of the action. The B.A.A. 5K takes place the Saturday before the Boston Marathon, and the route leads you down the famed Boylston Street, which is home to the finish line for the full marathon. 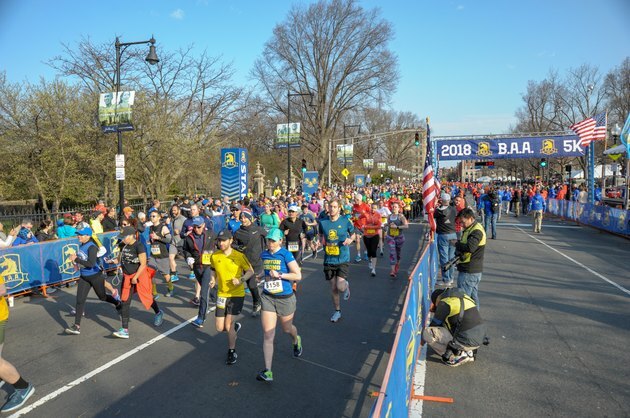 It’s known for being a fast course and gives runners of all levels a chance to experience the excitement of crossing the Boston Marathon finish line. If you’re a new runner looking to complete your first 5K or a seasoned athlete who’s looking to experience the mileage in a new way, check out the Girls on the Run (GOTR) 5K series. Girls ranging from third to eighth grade join the program to meet biweekly and run in small teams, culminating in the 5K. Then you sign up as a running buddy and run alongside a girl celebrating the end of a GOTR season. Thanks to Girls on the Run, young girls learn the joy of movement and gain self-confidence through sports. By completing this fun run with them — there are almost 20 races that take place throughout the country — you not only support the organization, but you also get to help a girl navigate the course and cross the finish line. If you’re a runner who can’t tackle miles without some energizing music to carry you along, this race series was made for you. 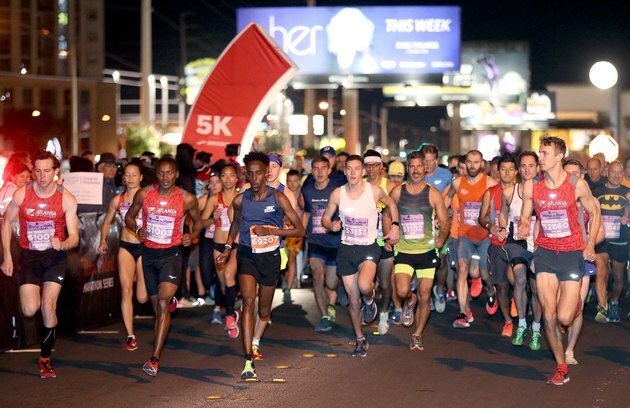 The Rock ’n’ Roll Marathon Series has events of varying distances all over the world, and each course is lined with live music. You could discover your new favorite band on the course or at the Finish Line Festival, complete with a post-race concert. Past headliners have included Everclear, Macklemore & Ryan Lewis, and Kid Rock — you’ll find multiple genres of music represented — and some courses offer unique opportunities, such as running on a completely closed down Las Vegas Strip (at night). Part run and part obstacle course, the Spartan Race series is for runners who want to tackle a bigger challenge. 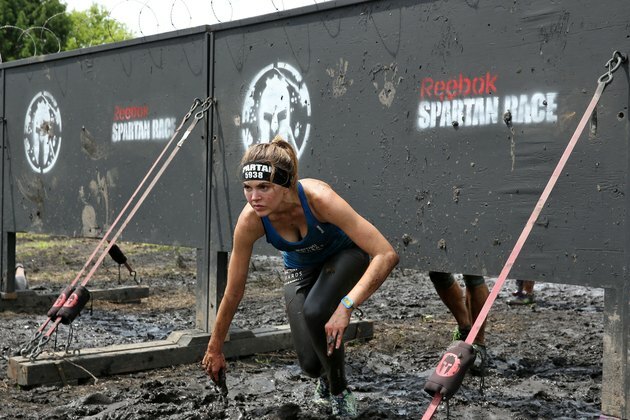 Race distances vary by location, but those looking for a 5K will want to sign up for the Spartan Sprint, which takes participants three to five miles and can have roughly 20 obstacles to conquer throughout your run. This level is perfect for beginners looking to complete their first obstacle race and for more experienced athletes who want to work their way up to the Elite division. You’ll crawl through mud, climb over walls and so much more, all while growing as an athlete (and runner).